Available in 6 colours, this style is the ultimate versatile bag. 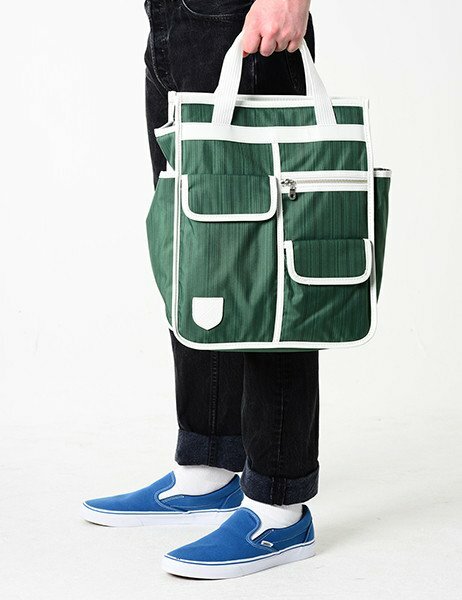 It is a shopper that can be worn over the shoulder, a backpack or a pannier to attach to your bicycle rack. 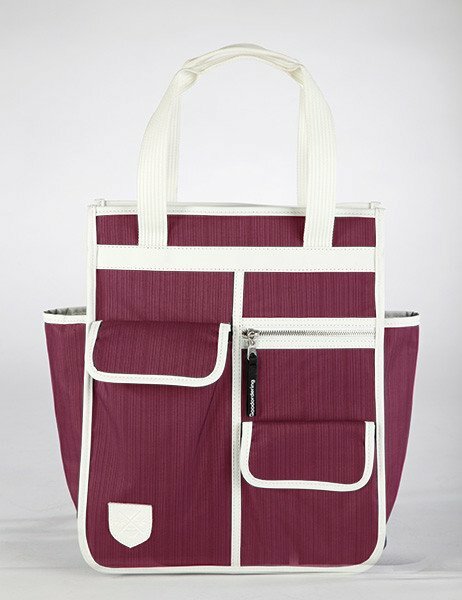 It is made from quality water resistant nylon with highly durable PVC binding trim and pinstripe lining. The wide opening main zip section reveals internal storage including a zip pocket and a padded slip pocket for laptop storage. Zip pockets on the front panel and front flap pocket is safe and easily accessible via velcro fixing. 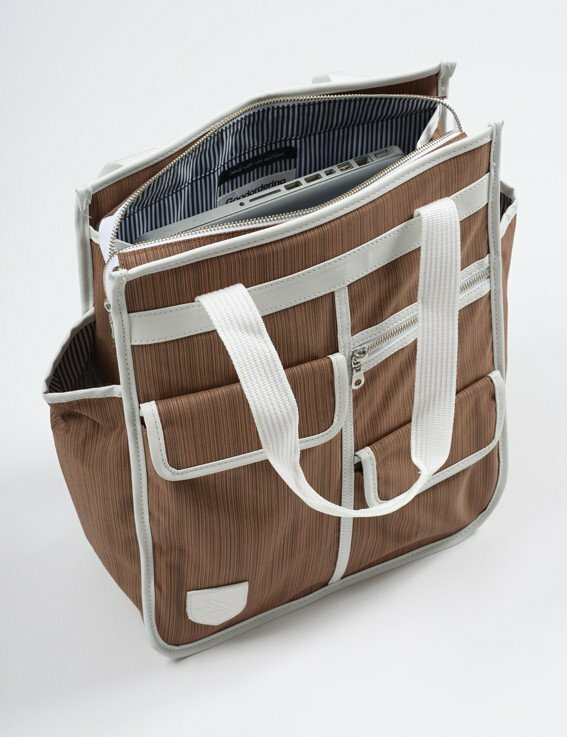 The two side pockets allow quick and easy access for items such as umbrellas and bottles. Materials include high quality YKK metal zips, nylon webbing and comfortable padded backpack straps. The boxy shape ensures that your contents stay neat and organised at all times. The bag also comes with a draw-string pinstripe dust bag. 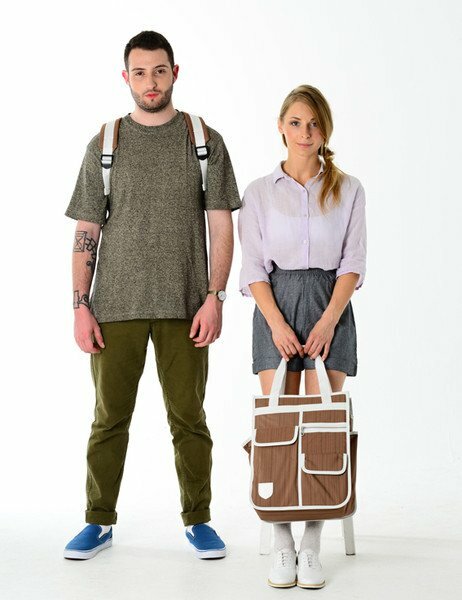 Read our interview with Jacqui Ma to learn about about her company and the stylish bike bags she creates here. 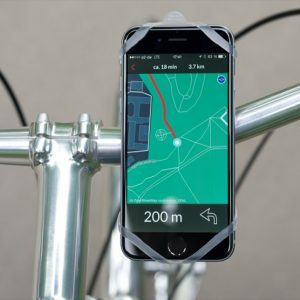 We make functional tech ready, retro style cycling accessories. Our bags include multi-functional cycle panniers, backpacks & handlebar bags. 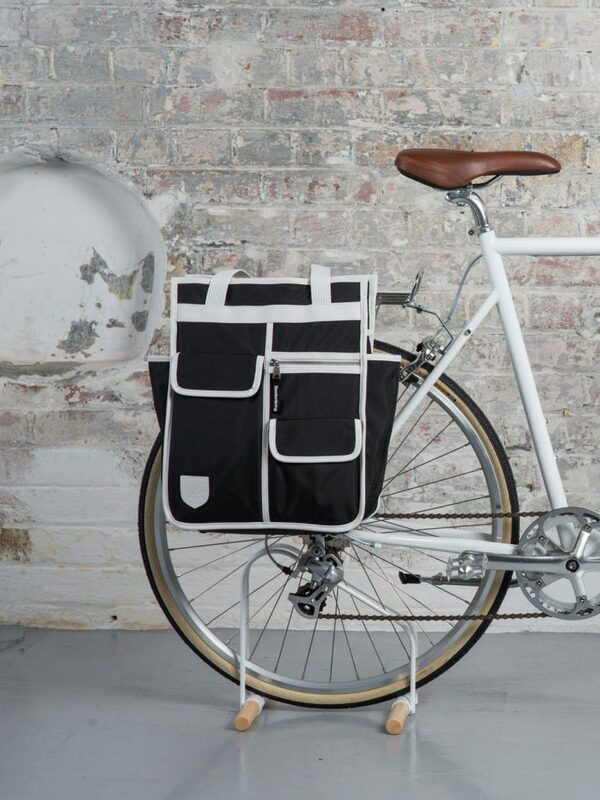 The Basil Urban Dry Double Bag is a stylish choice of bicycle storage, made from hard-wearing polyester and suitable for all manner of cycling journeys. 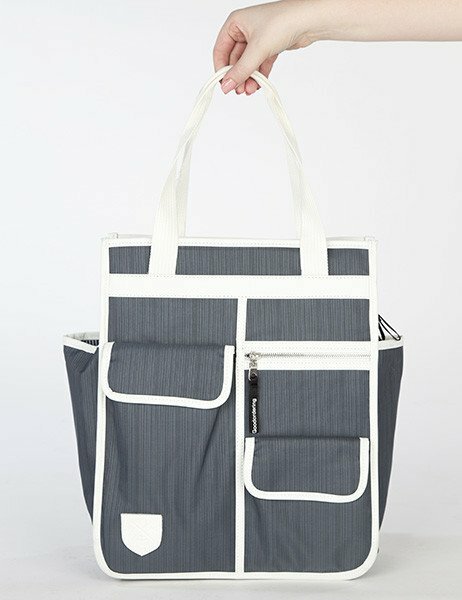 Looking for a durable bike bag to store your groceries as you return from the store? This will stand up to the task. 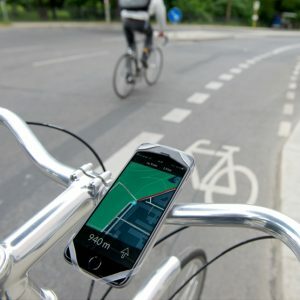 Planning a cycling holiday and need some extra luggage? The Basil Urban Dry Double Bag is on hand to help. With a generous volume of 50 litres, there’s no shortage of space here. Suitable for use with both regular bikes and e-bike frames, this bag is made from waterproof polyester and comes with welded seams for optimal protection against rainfall and the elements. Each half of the bag closes securely with zip fastening, keeping contents in place during every step of your journey. This bag is also a stylish choice, with faux leather accents giving it a designer-level finish. The Basil Wanderlust Double Bag comes in timless white, with an impressive bird print that’s bound to raise a smile. 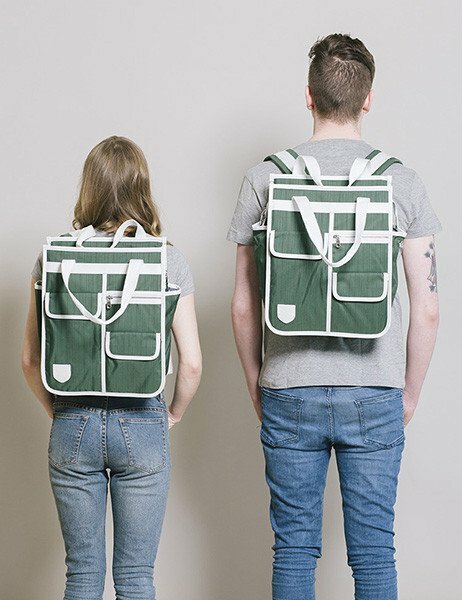 Ideal for injecting some character into your bicycle, this bag is also loaded with storage space with two separate compartments to house even larger items. There’s 35 litres of internal capacity in all, meaning you’ll never have to compromise on what you take with you on your cycling adventures. This bag is lockable thanks to secure snap-fasten closure, with easy attachment to a whole host of luggage carriers, including e-bikes. Reflective details are also on hand to ensure you maintain high levels of visibility in the dark, a great perk for safety conscious cyclists. Part of the Basil Wanderlust collection, you’ll find an impressive selection of coordinating products available right here online. 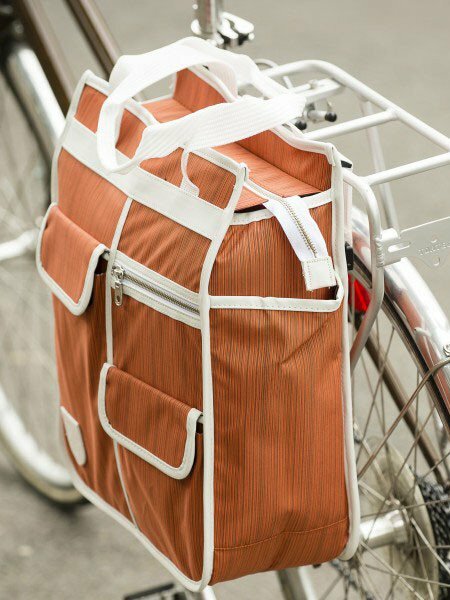 This retro style bicycle pannier bag is a messenger bag and bicycle pannier in one. Bicycle panniers are an easy way to lighten your load when riding a bicycle. This stealth bicycle pannier then becomes a regular bag great for work or traveling when you are not on your bicycle as it includes a padded laptop sleeve and a huge array of useful pockets. Simply unzip and fold down the compartment on the bag to reveal bicycle pannier clips. Hide this section away easily by closing the zip pocket. 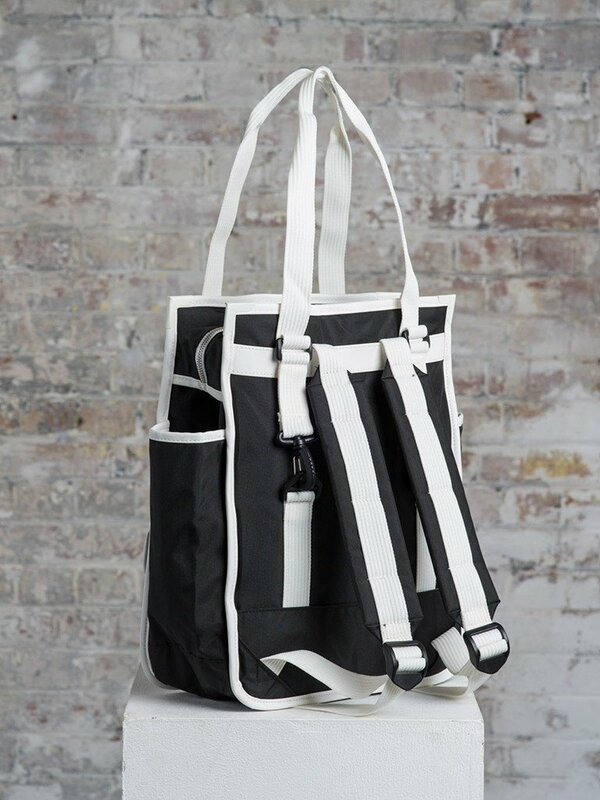 Unclip the adjustable shoulder strap to hide it away when the bag is being used as a pannier. Please note the clips that attach this bag to your pannier rack ideally suit 8mm tubes. The clips do not fit the wider tubes as normally found on the more retro style pannier racks. Waterproof and machine washable, this bag is also lightweight and full of useful pockets.